Summer is NOT here yet, but all the brands are coming out with their own kind of summer collection. This year's Tom Ford soleil summer collection 2016 is here with its famous white-gold packaging. It is beautiful and i only purchase 3 of the products. I would grab the whole collection, but I did a lot of damage to my bank account. (lets not get into that topic) I did try the rest of the products in store and i hope that i could get my hands on it before they are sold out. 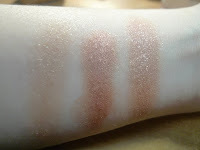 Sheer Cheek Duo in Bicoastal: the top blush is a soft pink highlighting blush and bottom one is a bold rose pink blush. 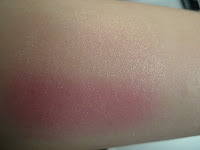 The top blush is similar to their usual line of blushes in 02 Frantic Pink, its light pink with a highlighting effect. The bottom rose pink blush is highly pigmented, which you may want to go light hand. 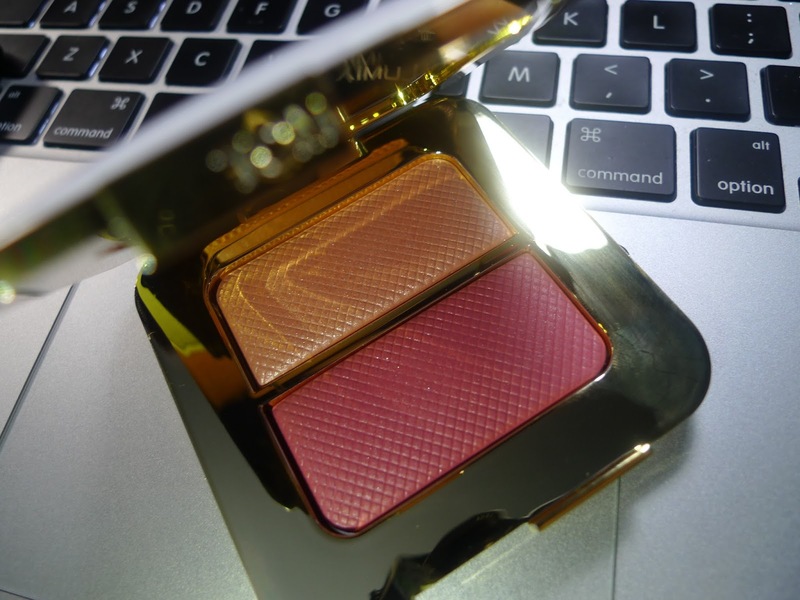 It could be use alone or layer together, either way is beautiful on the cheeks. Wear it either way and it is so long wearing. With its beautiful and sleek packaging, its worth a spot in your collection. Cream and Powder eye color in 03 Golden Peach: The top is a powder eyeshadow with lots of glitter and the bottom pot is a cream eyeshadow. The powder eyeshadow is with a bit too much glitter for my liking. I was hoping that with less glitter i could wear it alone for daytime. The cream eyeshadow is a beautiful rose-gold color that it is so easy to blend out and a little bit go a long way. Wear it alone or layer, it would be beautiful on the eyes. 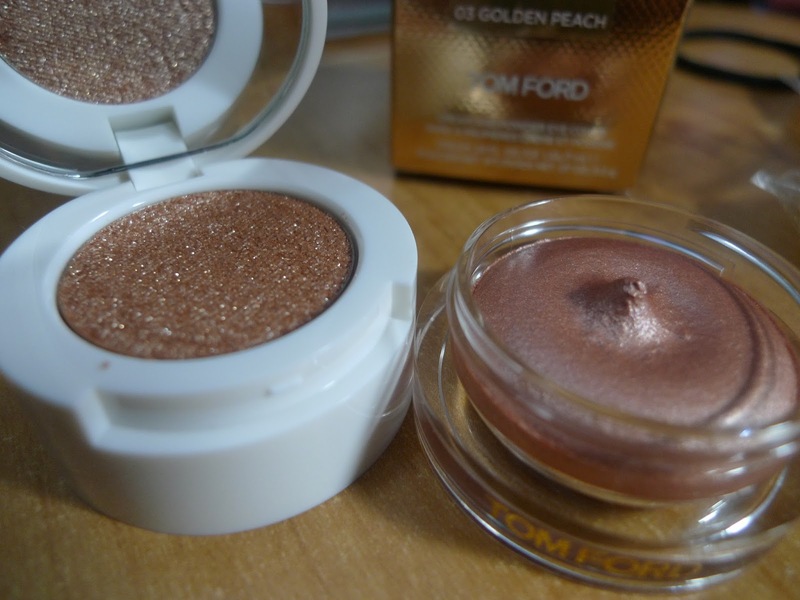 I would definitely get the cream eyeshadow again in the future. 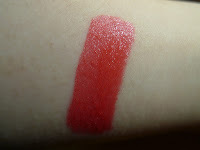 Ultra-Rich lip color in 03 Le Mepris: This beautiful reddish-orange-pink lip color is lovely on the lips. You can blend it out for a natural look or just like that for a sharp look. 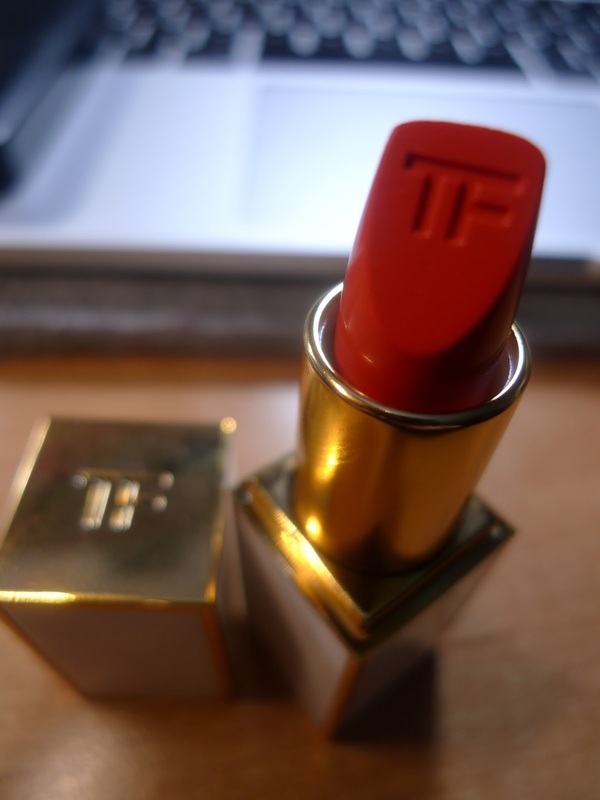 It is a beautiful color that is suitable for all skin-tone. Its a bit moisturizing and great staying-power on the lips. This is a great lip product and i will be picking up some other colors. Overall, I would definitely pick up the rest of the products from this collection. This white-gold packaging way too beautiful and lovely for you to past on. 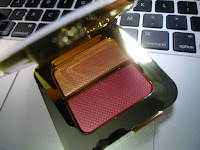 I do have to say that the prices are luxury, but it is worth every penny for a makeup lover or a makeup collector and the quality of the products are amazing. 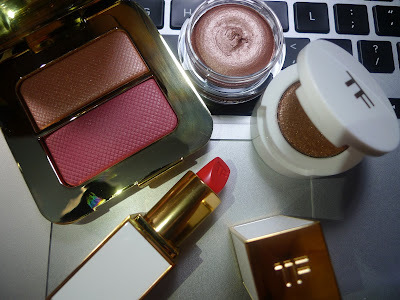 Stop by a place that sells Tom Ford and check these products out before it is sell out!